The way you cook rice may be putting your health at risk, a scientist has warned. 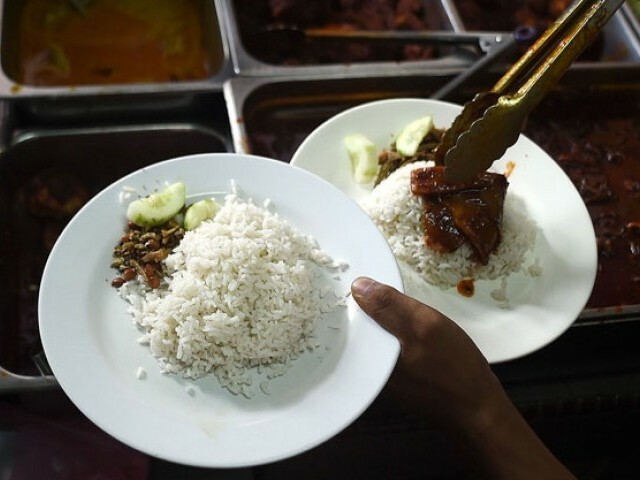 According to Professor Andy Meharg, an expert on rice contamination from Queens University Belfast, if you’re not using plenty of water when cooking your rice then you may be putting yourself at risk of heart disease and cancer. While soaking rice for half an hour is a common practice in Pakistan, don’t glad just yet. Soaking rice overnight is far more beneficial and cuts the amount of industrial toxins by nearly 80%. Further, cooking rice in surplus water helps to rinse out arsenic from the grains, forestalling any potential chemical poisoning. Research suggests, Arsenic seeps into rice due to industrial contaminants and pesticides that were used in the past. The pollutants can linger in the flooded paddy fields where rice is cultivated for decades. Rice has 10 times more inorganic arsenic than other foods and people who eat rice often are exposed to perturbing levels of the toxin, according to the European Food Standards Authority. Continued exposure to arsenic can cause an array of health issues which include developmental problems, heart disease, diabetes and nervous system damage. Even more worrying are lung and bladder cancers. Formerly, Professor Meharg has suggested that cooking rice in a coffee percolator would stop any arsenic from binding to the rice. Does SOI have the best Pan-Asian Karachi has to offer?